Costs – How much does it cost to trim trees in Richland, Washington? Find that information and more for tree services in the area here. FAQs – There are some tree regulations tree owners in Richland show know about, in addition to some pesky bugs that bother some types of trees. Don’t plant a tree to just have to take it down. Services – Find a pro near you and call them up today! How Much Do Tree Services Cost in Richland? Tree services are a crucial part of tree ownership in Richland, Washington. With the various amount of rainfall and snowfall throughout the year, tree branches break and leaves fall. Below is some crucial cost information about tree maintenance and removal in the Richland area for owners to know ahead of time and compare to the quotes they get from arborists so they don’t pay more than they should to keep their trees green and healthy. To remove trees, Richland residents report average costs ranging between $770 and $940 per tree. The type of tree plays a large role in the final cost of removal as some species will prove harder to remove than others. Height is another factor – taller trees are more dangerous to take down, and they can pose additional risks if they are located near to power lines or buildings. The amount of wood and debris that will need to be hauled away can also drive costs up. Stump grinding for medium to large stump removal generally costs $80 to $150 in Richland. This cost covers two hours’ worth of labor, including setup and cleanup times as well as the cost for a gasoline-powered stump grinder. This figure does not factor in any permit fees or sales tax levied on materials. Average costs for pruning in Richland, Washington, will run between $470 and $670. Proper maintenance of trees and shrubs is the best way to have a longer-lasting and more beautiful landscape. 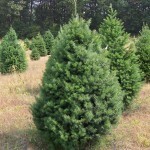 Tree and shrub maintenance costs should include fertilizing as well as pruning and trimming. Insect and pest control are another important aspect of a good maintenance program. In general, taller trees or shrubs that require a lot of pruning or are weak to certain diseases and pests will cost Richland homeowners substantially more to maintain. According to the city of Richland, “to truly eliminate conflicts between trees and overhead lines, you must select and plant only trees whose mature height and spread will not interfere with nearby lines.” If you don’t live near overhead power lines, this isn’t something to worry about and opens up the possibility for trees to plant. But you should also consider the safety of your home during inclement weather conditions. It’s always safer to plant trees with thick trunks and branches. Here’s more information about trees in the Richland area. The state of Washington has no rules or regulations concerning trees on private property, nor does the city of Richland. However, if a tree on a public right-of-way adjacent to private property presents a hazard to public health or safety, including obstruction of sewer lines or power lines, the city of Richland may require the property owner to maintain or remove the tree as needed. While trees and shrubs presenting an immediate problem can be safely trimmed or removed any time of the year, most people prefer to wait until late fall or early winter. Trees cut for firewood will have less sap and will dry more quickly. Trees and shrubs in need of pruning will have an opportunity to rest throughout the cooler months in preparation for a large growth spurt in the spring. Keep in mind that some species will require more pruning than others. A rule of thumb is that most trees and plants should be pruned every five years to avoid using too much of the food reserves in the soil. In 1947, Washington selected the western hemlock (Tsuga heterophylla) as its state tree. 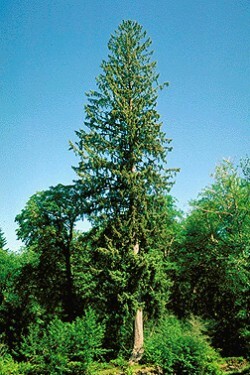 It is a largest hemlock species, attaining heights of more than 250 feet, and it has an amazing lifespan of up to 1,200 years. These trees are dotted all up and down the Pacific coastline, with young western hemlocks often being found under other conifers like the Sitka spruce and Douglas fir. All of these trees do excellently in the Pacific climate, and most will help with erosion control as well. They will also stand up to conditions not present in other parts of the United States, such as ocean salt spray. The tallest among these is the Douglas fir, topping out at more than 200 feet, while the shortest is the Pacific yew, reaching only 30 feet in height. Here is a chart from the Washington State Department of Ecology that showcases many more great species for Richland homeowners to consider. Many fruits do well in the Richland area. Perennial favorites include apples, peaches, pears and more. Homeowners can also try more exotic selections like Asian pears or fig trees. There are several trees that Richland residents should avoid. Silver maples tend to have aggressive root systems that can damage sidewalks, sewers and foundations. Hybrid poplars are another tree with invasive roots. They also tend to be brittle trees, and their short lifespan makes it likely that they will incur removal expenses quickly. Quaking aspens can send up sprouts all over a yard once they have become established, causing homeowners to spend lots of time trying to keep a stand of these trees contained. Willows often get aphids, and because they have so many small leaves and twigs, they can cause a big mess in an otherwise spotless yard. 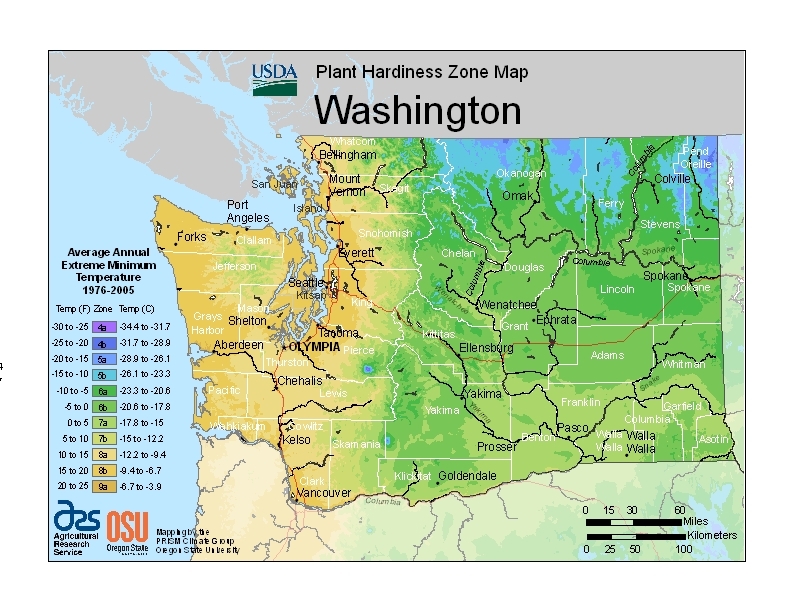 Several insects, including spider mites, insect borers, aphids, root weevils and leaf rollers feed on trunks, roots and branches all throughout the Pacific Northwest, including Richland. Codling moths will burrow into fruits while scales tend to defoliate trees. Mildew is a common fungus, particularly on crabapple trees. There are two common blights – dogwood anthracnose and brown blossom blight, both of which cause leaf and twig problems. Armillaria is a fatal disease that targets the root systems of oaks and dogwoods. It is a tough disease to spot, but once diagnosed, the infected roots must be trimmed away to save the tree. Redbuds, maples and ash trees are susceptible to verticillium wilt, which is a fungal disease that can spread through intertwined root systems.